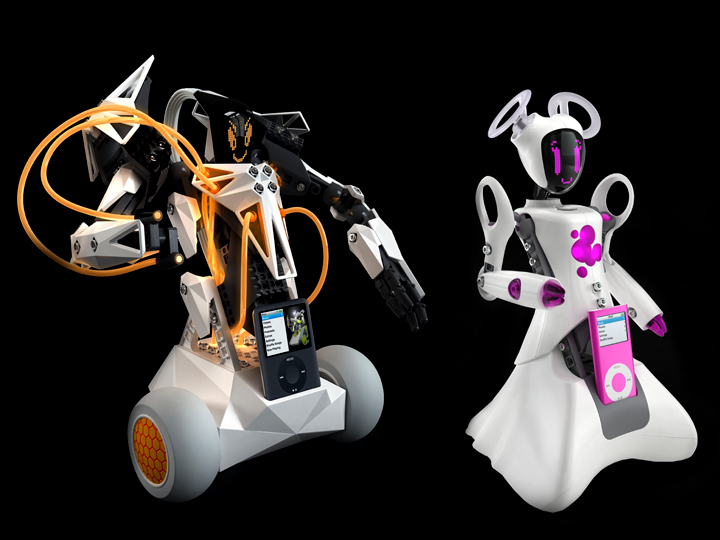 Robots are always a big crowd-pleaser at CES, and this year’s no exception. WowWee, known for its innovative but affordable ‘bots, just announced four new products that uphold its reputation. And Erector (yup, of Erector sets) brought out three follow-ups to last year’s popular Spykee, a build-it-yourself Wi-Fi robot that acts like a roving webcam. Go with WowWee if you want your artificial friend to run right out of the box, or with the Erector DIY kits if you like to work for your robot love. Continue reading below to see the best new robotic products to hit CES this week. I can’t wait to fly this one around my living room—or rather, let it fly itself. 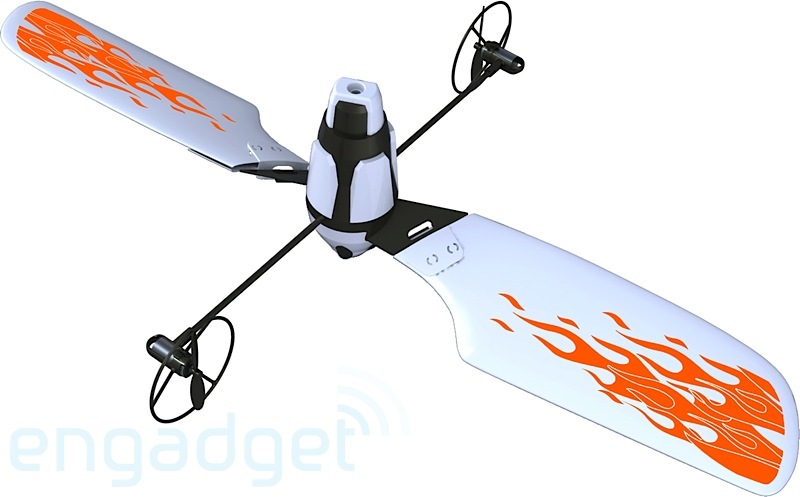 The Bladestar is the first robot that flies all on its own, no remote control needed. (At least, it’s the first such robot you can actually buy, without having to design it yourself or steal it from the military.) It uses infrared sensors to detect obstacles, whether walls or people, and then steers away from them. It stays upright with the help of propellers that spin perpendicular to the rotating wings, creating a gyroscope-like effect. And it can even fight with another Bladestar—all for only 50 bucks. At first glance, Rovio is a webcam on wheels. You control the Wi-Fi-enabled ‘bot from any web browser, and then it rolls around your house capturing audio and video that you view online. But what sets Rovio apart from similar robots is that it can also pilot itself using a navigation method called NorthStar, which WowWee describes as “working like a micro-GPS system.” Not sure yet of the details, but WowWee developed it with a company called Evolution Robotics, whose website describes NorthStar as going something like this: A small infrared projector in your room shines invisible light dots at the ceiling. The robot’s detector can tell the spots apart, so it can use them to triangulate to determine its position, just like a GPS device does with satellites. 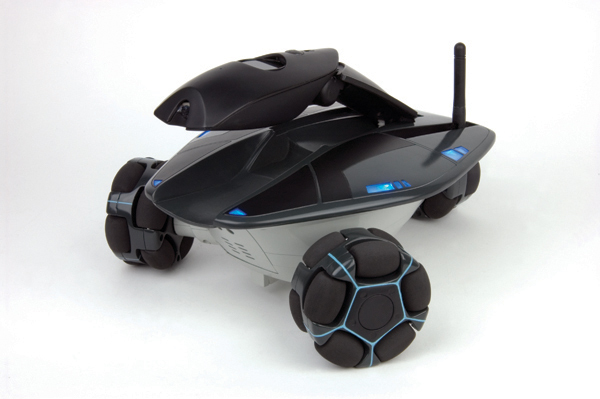 As its name implies, the Tribot has three wheels, which let it move in any direction—sideways, diagonally, wherever. What its name doesn’t make clear: The Tribot has a game mode, a joke-telling mode (! ), and more, and it can indicate its joy at its marvelous talents by wiggling its eyebrows. Take home a cuddly baby lion without worrying that he’ll grow up to destroy your house. 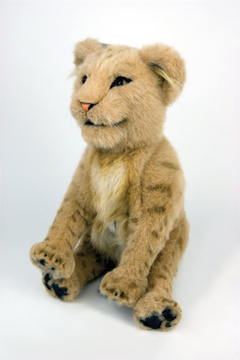 This furry fellow has touch and tilt sensors that detect when you pet him, leave him still, or pick him up by the nape of the neck, so he can respond with purrs or other lifelike gestures. WowWee plans to introduce more baby beast ‘bots soon, including a panda, polar bear, and white tiger. You’re probably wondering what this robot is doing to that iPod… Well, Spykee Cell is a multi-tasker. 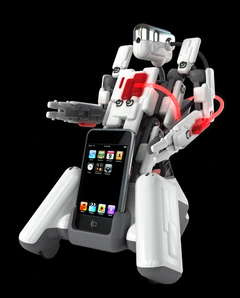 He’s an iPod speaker, webcam, and rolling robot that you control with your cellphone over Bluetooth. He even turns into a Bluetooth speakerphone when you get a call. Want more? Check out our entire CES 2008 coverage here. I like the robots, it makes the stuff from Star Wars seem more and more realistic. ... there's yet another Spykee robot available. I hope Erector makes a big come back. I remember playing with those sets as a kid. A lot of names that were around when I was a kid need to make a comeback and educate this days toddlers. Very nice first of all I am very thanks to sharing these electronic item. Most Which I like is Rovio. It simply great Webcam. basically I like this concept that webcam on wheel. It is very helpful to capturing audio and video from your home itself. That's really a fantastic post ! I have been looking at some posts and found that Your article is well ,I have added it to my favourite blogs list.thak you for your post! Wow! This is really amazing Robots are found here... really It would found very interesting for Kids. Great Post here... Really I like it. Keep posting. Your blog is very interesting. Its so amazing if we have a robot to our company or even to our house. Its can help to our daily household for example clening our house and to be a messager to our company. But in the other side it can cause unemployed to our country. I find it very reassuring that many of the people who commented with opposing thoughts and opinions, did so in such a nice and authoritive way. Two brothers coming to Hong Kong from Canada to establish a company, and very much succeeded in their aim. Changing their focus with the time to fulfill the demand of public. 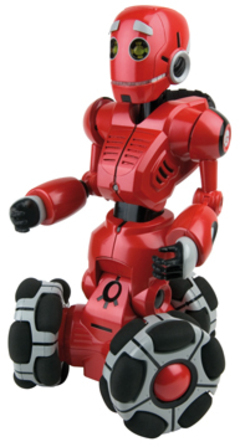 Now focusing on robotic toys and also making a film on this topic named as "Robosapien: Rebooted". Those are incredible stuff. I want them all. I’m so glad to see you back! ^_^ I hope everything is going well! Can you tell us how long does it take you to make the WowWee Tribot?